Walking toward Raghvendra’s quarters, I met Prudence and Mia Farrow out for a stroll. We greeted each other. Prudence stopped. Then Mia. “You’re the fellow from the hotel in Delhi, aren’t you? You came to our room.” Prudence turned to her sister. “Mia, this is the guy who brought you that lovely, big yellow mum.” Mia brightened. “That was so good of you.” Mia took my hand for a moment and smiled. “That was such a horrible day. We’d just arrived from New York, exhausted from the long flight, and then that press thing happened. But your generosity made a difference.” I said I was glad, and after a few more warm words we parted. Later that day, I learned that Mia and I had something in common, and that was the reason we’d both come to Rishikesh. We had each gone to hear the Maharishi lecture, she in Boston just a month beforehand, hoping to find a salve for the pain of heartbreak, searching for a new self-respect by going within, irrespective of the love of others. It was Prudence who had actually introduced Mia to meditation. At the ashram, Prudence immersed herself in meditation for such long hours that she didn’t come out for her meals, having a tray set outside her door. After a while she stayed in her room around the clock. She was either blissed-out or, as one of the Beatles later voiced, flipping out. Either way, it became a cause of great concern and George, followed by John and Paul, tried to get her to come out. Prudence wouldn’t even answer the door. 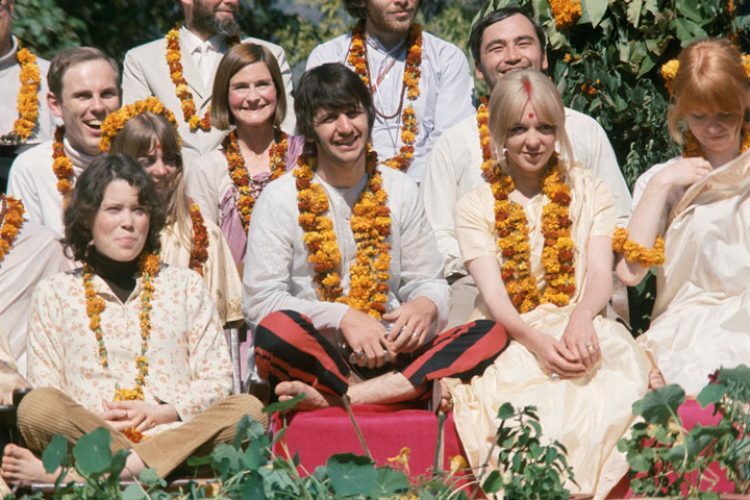 I would be gone by then, but eventually, after three weeks of Prudence’s staying in her room, John and Paul took their guitars and serenaded her through her locked door and drawn curtains, singing a little ditty John wrote for the occasion. It worked. The drapes moved slightly and Prudence looked out. After a moment, a slight smile animated her face and eventually she emerged. The little ditty was Dear Prudence and it became part of the Beatles’ next album—The Beatles—widely known as The White Album.